I cannot underscore the treasuretrove of information that you can mine out of these two publications. Both 73 and Ham Radio Mag have numerous articles related to home brewing, antenna design and low power operation. What are you waiting for??? Christmas is here early! Go grab your copies of Ham Radio Magazine! Be sure to check a full index of article by topic at Bill VE3WGX’s website. This entry was posted in Announcements, News and tagged Ham Radio Magazine, Ham Radio Magazine download, Ham Radio Magazine for Kindle, Ham Radio Magazine Free Download, Ham Radio Magazine on Archive.org. Bookmark the permalink. If HR (Ham Radio) Magazine is available, how come I can’t find a single issue? on pages 26-30 in the September, 1980, issue. Yeah, there’s an entry for it on archive.org but it doesn’t seem to contain anything. Any ideas? I have had no luck locating them on Archive.org. 73 Mag is still there, but not Ham Radio Mag. ANyone following this thread have a lead on a good link? I’m afraid they been removed. I just checked and it seems that H.R.M. may have been removed. The most likely thought is for copyright reasons… Maybe so that the ARRL can sell it to you instead. They are the ones with control over HRM. 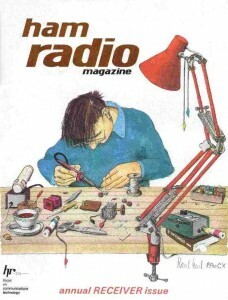 I have a bunch of these old HR Ham Radio Magazine. Looked on ebay to see if they was collectible and found nothing. If I can’t sell them I guess I’ll just toss them in the trash. I had access at one time but NO MORE. I checked out ARRL and they have a 3 CD set of all back issues of Ham Radio Magazine for about $150.00. Perhaps that is why the Archive is no longer available. Bottom line: Pay Me! I loved that Magazine but all my old issues disappeared when we moved in 1984. Apparently, Ham Radio Magazine is owned by CQ – the complete set can be purchased, but it’s not in the public domain. I downloaded ALL the 73 mags from the Internet Archive, but the Ham Radio mags had been removed before I discovered them. That suxs! The goal here is to reach out maybe get a replacement DVD out to someone that had lost or misplaced theirs. I’d easily pay $10-20 for a DVD with all (most?) of the Ham Radio magazines on it. I may have been a “charter” subscriber, but gave them all away in a down-sizing effort several years ago, and I’d love to have them available again. complete from the March-1968 through the June-1990 issues. Definitely a good bargain, whether you just like to read old radio magazines or if you are really “into” DIY HAM construction projects. I want to have a dvd of full H.R.M. I want that to be sent to a city in Canada. Just tell me how much money I should send you. This board/forum is not for personal discussions. There you can send your Canadian mailing address. Are the dvds of ham radio still avaliable? Have from 1976 thru 1981. Thanks for your effort. Merry Christmas. Yes – see ‘June 7, 2017 at 8:07 pm’ post for contact address. I a nice thing you are doing to help this community. Hi Paul – just got back, I’ve responded to your email. I want to know about RSGB RADCOM magazine archieve. I have sent you many emails , but you did not answer any. Please let me know if your email has changed. I want to know about RADCOM Magazine (RSGB)archieve. I responded to your personal email address, please check there for response.